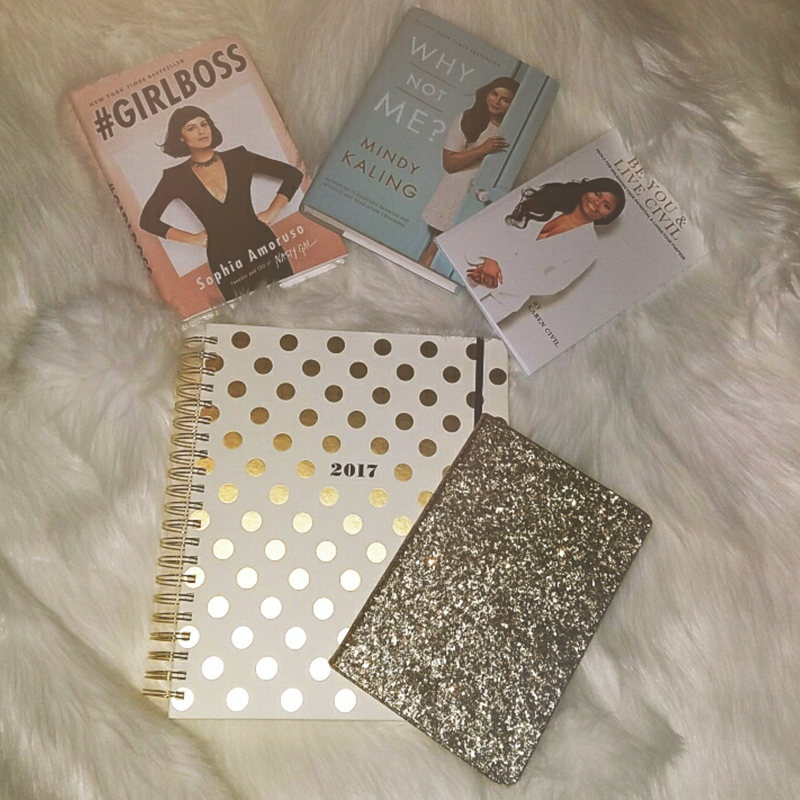 I wanted to start my year off right by planning more and bossing up. I completely understand that you can not learn everything from a book, but I intend to learn as much as I possibly can from these three amazing women. The start of 2017 has been different for me and I love it. I usually write my goals down and keep it moving. This year I want to be intentional with everything I do. My planner is awesome!!! I had countless planners that were super easy for me to tuck in my purse and I literally did not use them last year. I found myself jotting down my thoughts on pieces of paper and forgetting to add them to my planners. This year I decided to get a planner that is like me big and beautiful. I have been keeping this planner near since before the start of year and I am in planner heaven. A cool feature are the folders inside, which is wear I am storing my school notes at the moment. I chose Sophia Amoruso’s #GirlBoss because my goal is to take charge and turn my hobby into a full-time job. Yep, I placed that in the Universe!!! I chose Mindy Kaling’s Why Not Me? because I love her, seriously, and with this book I hope to learn how to balance my everything while living. I chose Karen Civil’s Be You and Live Civil: 5 Tools for Unlocking Your Potential & Living Your Purpose because I think she’s dope. She is living the life she intended to live.